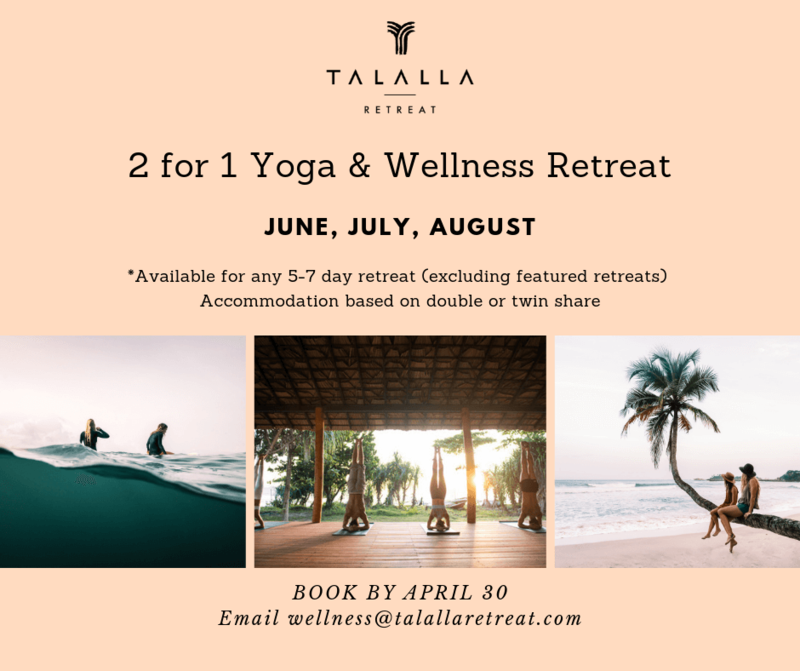 Bring a FRIEND FOR FREE on any of our in-house 5 – 7 day Talalla Yoga and Wellness retreats (excluding Featured Retreats). Grow your tribe, connect with like-minded souls through our personalised Yoga and Wellness programs, and immerse yourself in the tropical vibes of Sri Lanka. ** Pay your deposit by April 30th to secure this great deal!